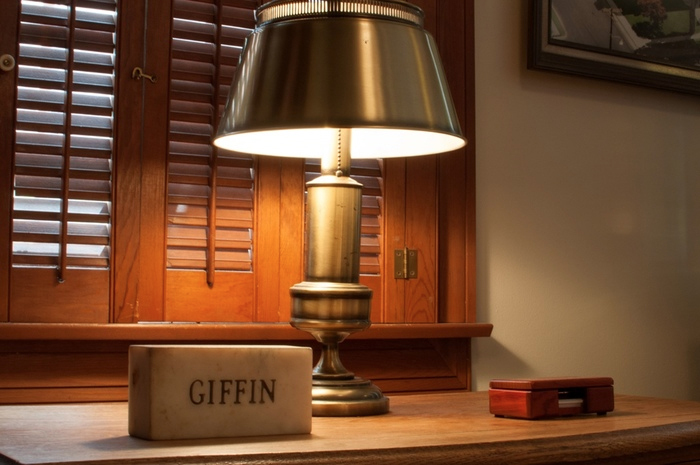 In 1910, Baxter Alexander “B.A.” Giffin founded the Giffin Funeral Home. He began as a young merchant serving the area known as Trone, presently near Gore, VA. A man passing through the area had a store bill with B.A.. 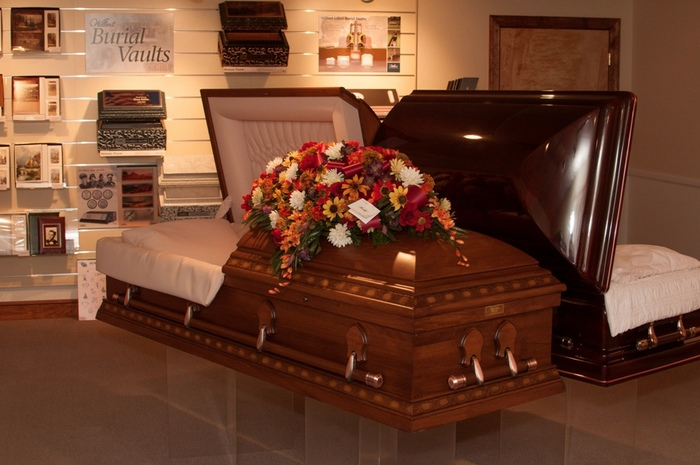 When it came time to pay his bill he bartered wooden coffins that he made along with lowering straps. Weeks passed and someone in the community died. B.A. was called to provide the equipment needed to bury this person. 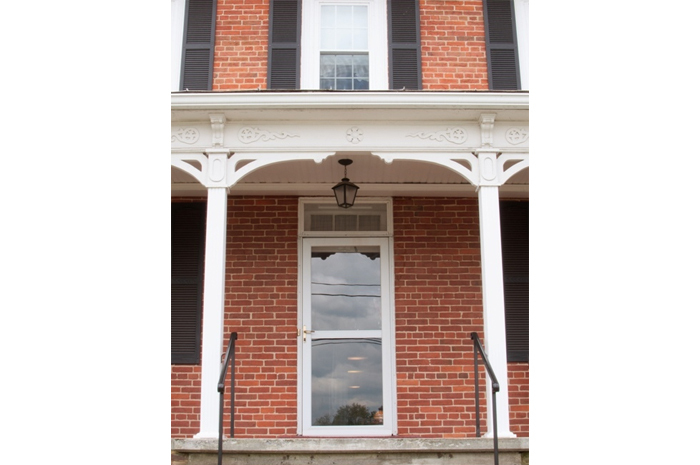 Soon after, he moved his store to the Town of Capon Bridge. He operated his store, serving as an agent for Deering machinery, and later became licensed as an Undertaker. The funeral home was a small, two story building located beside the store. The old store still stands on the east side of the Cacapon River Bridge. 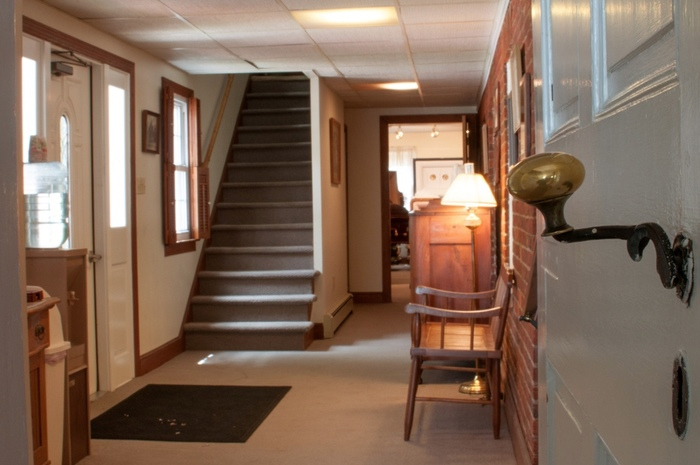 Back then the funeral home wasn’t used like it is today. 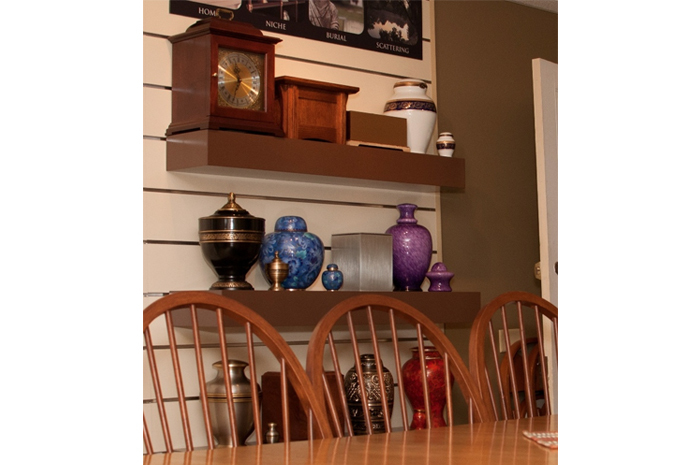 Almost all visitations were conducted in the homes of the deceased. A few years after relocating in Capon Bridge, B.A. closed his store and used it as his parlor. In 1950 B.A. bought the building that the funeral home currently occupies. The building was built in the late 1700’s. 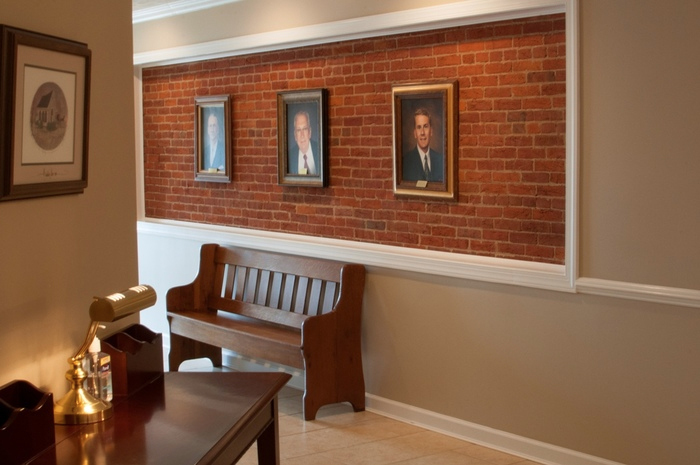 The clay used for the brick was brought in from Bloomery, WV by horseback. B.A. 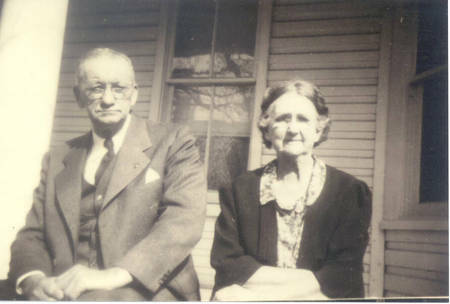 married Myrtle Cooper on June 17, 1908 and they had three sons: Garland, Robert, and Roy Giffin and two daughters: O’nile Giffin and Elizabeth Giffin Price. Garland was the first to follow his father’s footsteps. 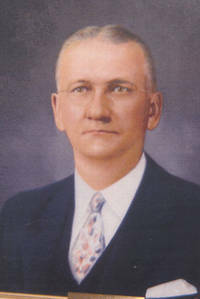 He was a 1931 graduate of The Cincinnati College of Embalming and operated funeral homes in Springfield and Romney, WV. In 1943, Garland died at the young age of 34, which forced his father to close the funeral homes in Springfield and Romney. In 1943, B.A.’s youngest son Roy was in the United States Navy serving in World War II. 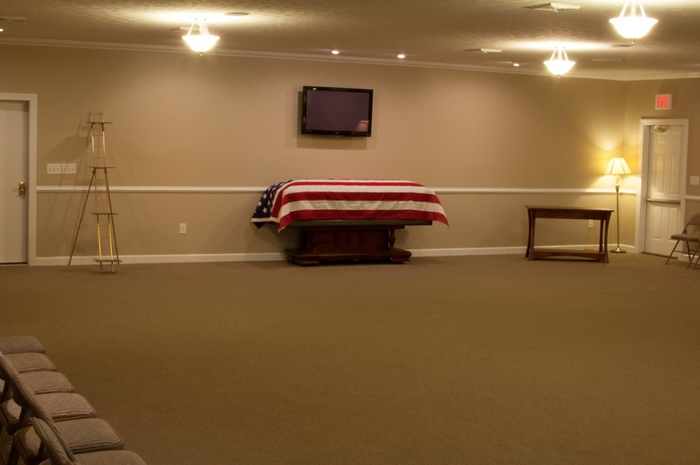 Roy had always shown interest in the funeral business and planned to join his father after serving in the military. A few years after WW II, Roy was convinced to join the reserves by his commanding officer. 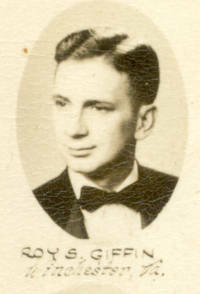 In 1950 Roy graduated from The Cincinnati College of Embalming. He returned home to find his father waiting for him with his papers to report to duty. Roy was allowed to take his national boards, before reporting to duty. After completing a tour of duty in Korea, Roy was finally able to join his father in the family business. 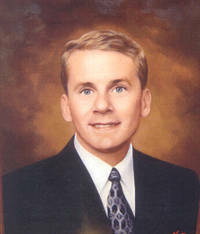 Roy was a licensed funeral director and embalmer. Shortly after completing his education, Roy met his wife Lucille Pope. Roy and Lucy had four children; Jerry, Jill, Beth, and Todd. Roy worked hard to provide for his family. At one time he assisted seven different funeral homes. Roy continued to serve families of his community until his death. He passed away at his home on June 5, 2007 at the age of 83. After his passing, Roy's wife, Lucy contined to help operate the business for a little over 10 years until her passing on September 25, 2017. 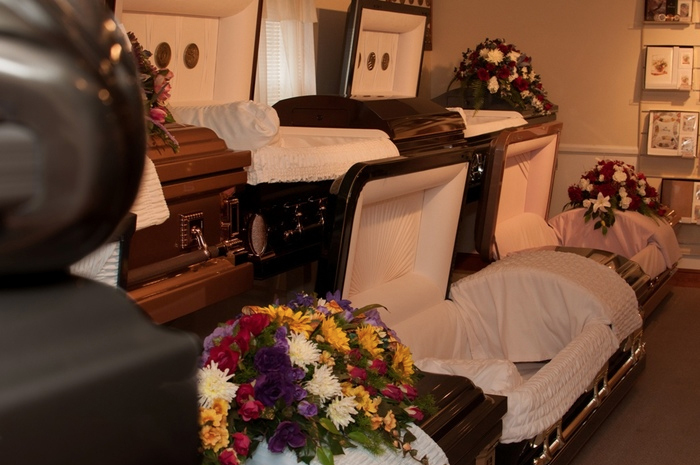 Both Roy & Lucy were major staples of the Giffin Funeral Home and are missed dearly. In 1977, Roy’s oldest son, Jerry B. Giffin joined him in business to become the third generation funeral director with Giffin Funeral Home. 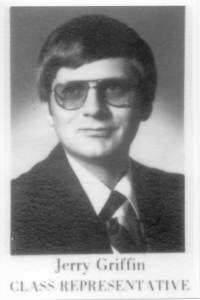 Jerry was a 1973 graduate of Hampshire High School in Romney, WV, and a 1977 graduate of the Pittsburgh Institute of Mortuary Science also known as “PIMS.” In 2012, Jerry completed his 35th year in funeral service. When asked about his 35 years of service he said, “I wouldn’t want to be doing anything else. If I can relieve a little burden off any family by helping them through their most difficult time, then I have done my job. I had great teachers throughout the years whom I have learned so much from. I feel fortunate serving this community that I love.” Jerry resides in Capon Bridge. Roy’s youngest son, Todd, enlisted into the United States Navy like his father. He served on the USS Theodore Roosevelt as a Nuclear Machinist Mate 2nd Class. He served in Operation Desert Storm. Once Todd completed his six year tour he continued working for the Government as a civilian. While working for the Navy,Todd realized he wanted to be a part of the family business. Todd’s father and brother were thrilled to have him join them in serving families of their community. He completed his Associate Degree from Lord Fairfax Community College in 1996. 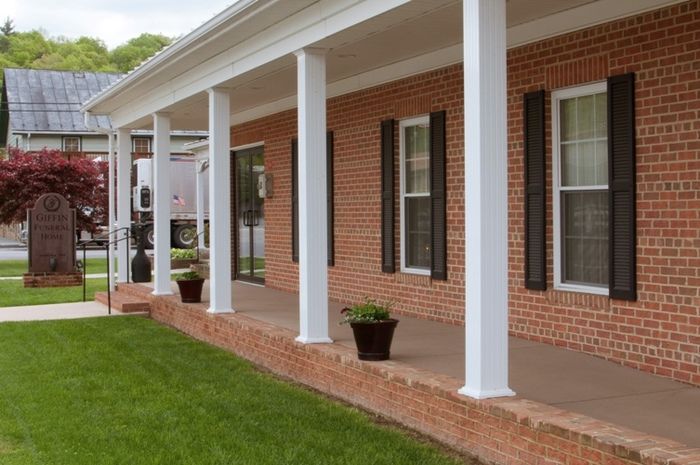 During this time Jerry and Todd expanded the business and acquired the Loy Funeral Home in Wardensville, WV in January of 1998. 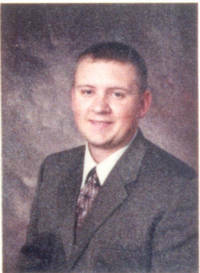 Todd enrolled in Pittsburgh Institute of Mortuary Science soon after and graduated in January of1999 with honors. On July 9, 1994 Todd married Stacy Lee. They had one son, Stuart Alexander “Alex” Giffin in 2000. They resided above the funeral home in Wardensville. On July 2, 2003 Todd’s family began breaking ground for their new home outside of Capon Bridge. Later that day, Todd was involved in a fatal traffic accident. A terrific husband, father, son, brother, uncle, and friend was gone. There is not a day that goes by that our family does not think of Todd. We have great comfort knowing that in June of 2007 Todd and Roy were reunited. 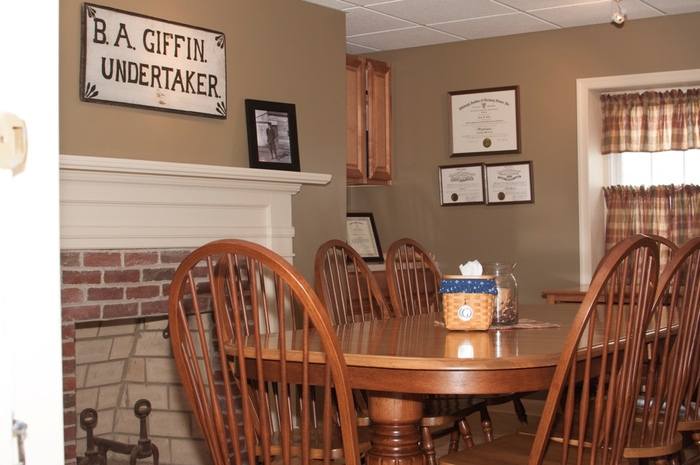 In January 2005, the fourth generation funeral director to join Giffin Funeral Home was Lucas A. Giffin. Lucas is the son of Jerry B. Giffin and Robin Clise Henry. He is a 2000 graduate of Hampshire High School and a 2005 graduate of Pittsburgh Institute of Mortuary Science.Lucas was fortunate to serve his apprenticeship under his Uncle Todd until his accident. When asked about serving his apprenticeship under Todd, he said, “Todd was a great teacher who learned this trade from the great teachers that preceded him. I just hope one day I can follow in his footsteps and be a mentor to someone as well.” Lucas married Amanda Nice on September 10, 2005. Amanda gave birth to a loving little girl, Summer Gail, who blessed us on July 2, 2008 five years to the day of Todd's tragic accident. On October 26, 2012 Lucas, Amanda & Summer welcomed Lily Grace to there family. They reside in Capon Bridge. 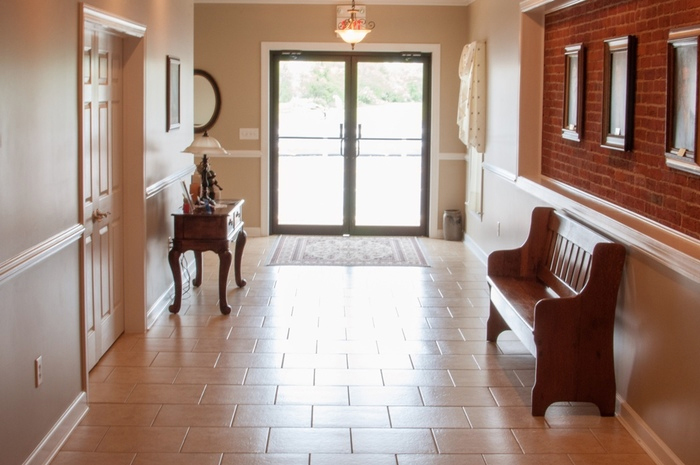 For more than 100 years four generations of funeral directors and our families have respectfully provided an appropriate service for every family that has entrusted us. We continue to strive to be that family oriented business that any family can lean on at their most difficult time. Most of all we thank you for the wonderful years of friendships that have developed.